amyhatten | Musings of marriage, motherhood, homeschooling, & autism all while laughing at oneself. Musings of marriage, motherhood, homeschooling, & autism all while laughing at oneself. Check out the Girls of American History website for a great giveaway. While you are there take a look at what they have to offer! How does a homeschool mom of 4 children get her children to learn science, music, spelling, history, and geography all without a single time consuming lesson? 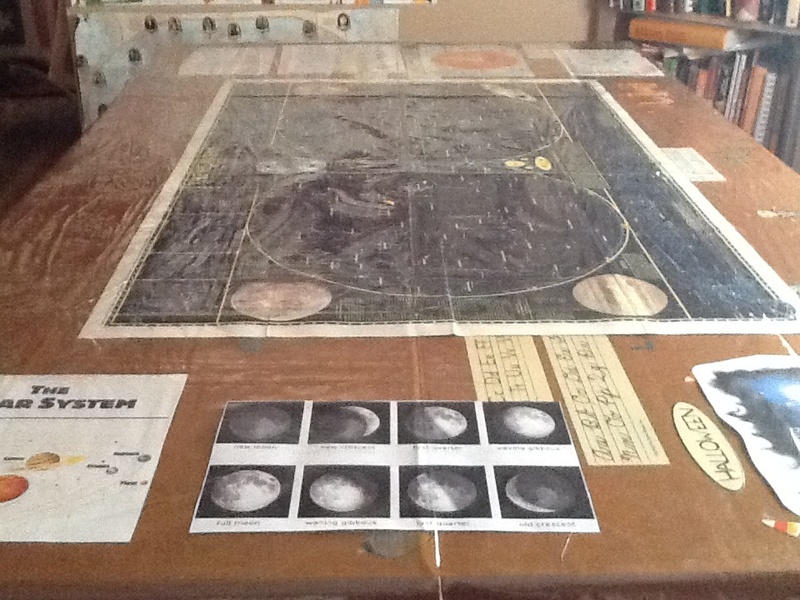 All you need is one kitchen table, lots of old magazines (National Geographic, ect), old encyclopedias, maps, a clear vinyl tablecloth, and lots of imagination. First decide what your kiddos should learn. Second collect any maps, pictures, diagrams, and note cards. Place all items on top of kitchen table. Secure with a little tape and cover with clear tablecloth. Voila!! Instant dinner conversation and passive learning through osmosis. Works every time! Change theme every couple of weeks. Nothing like studying the human digestive track as you eat your meatloaf…….